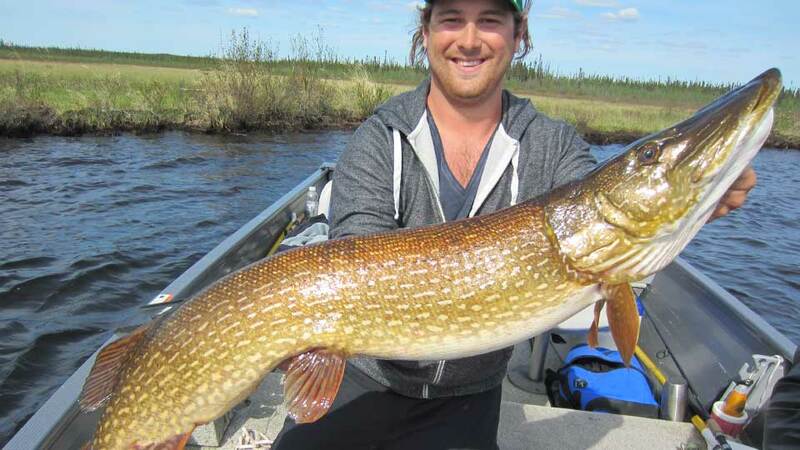 Minor Bay Lodge is located on the southwest corner of Wollaston Lake, Canada’s 13th largest lake and the spawning ground of monstrous northern pike and lake trout. The lake covers an area of over 1,300 square miles, with over 800 square miles of water within its boundaries. 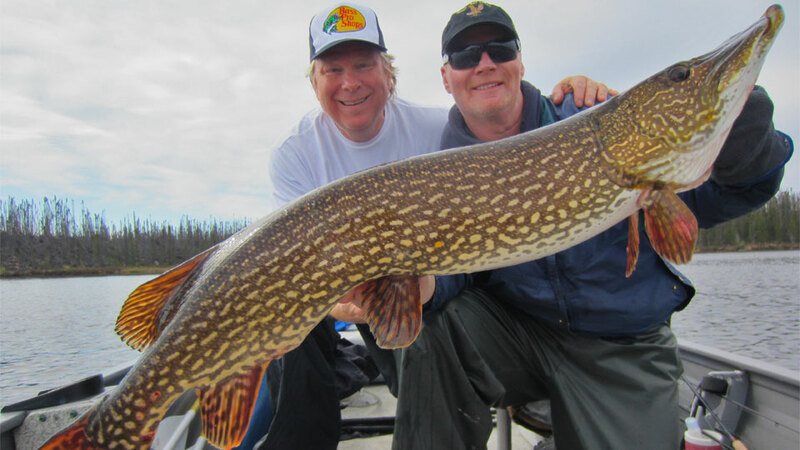 Minor Bay Lodge is open June and July, only two months for peak fishing. 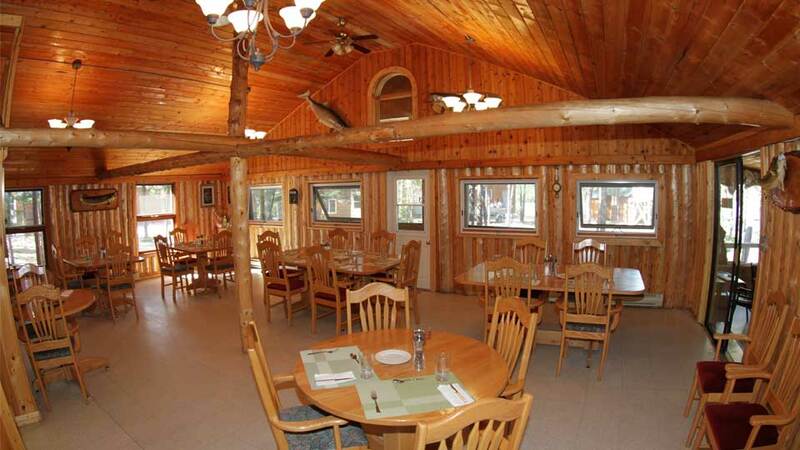 Minor Bay Lodge The Lodge is located in a sheltered bay in the southwest corner of Wollaston Lake, right in the heart of Monster Pike Country. The lake’s south end is all about structure—marshy spawning bays, peninsulas, sand and rock bars, plus a huge number of weed beds. 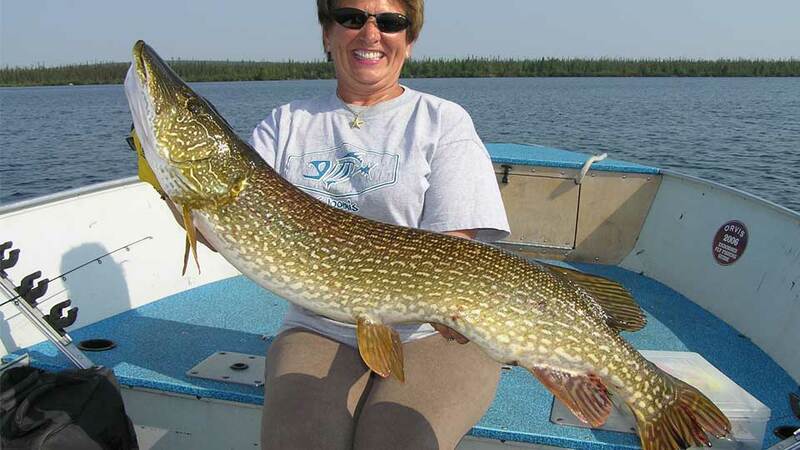 This is ideal habitat for northern pike to spawn, feed and grow to incredible size. 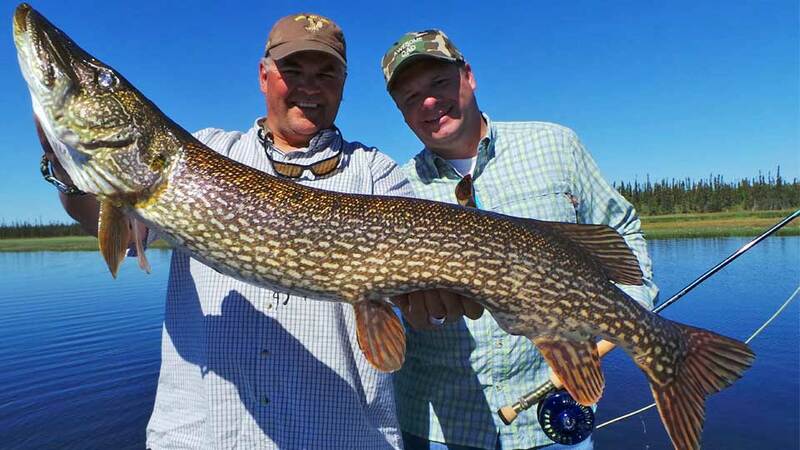 Minor Bay is located in the best location on Wollaston for access to pike and lake trout. There are places relatively close to the lodge for both species. 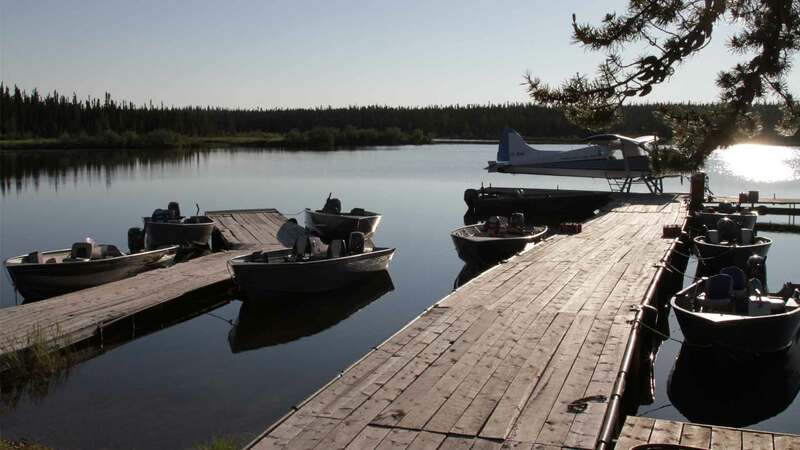 Wollaston Lake is at the northern end of the walleye range, so they tend to catch larger walleye, but not high numbers. The best walleye fishing is at the river inlets and outlets to and from the lake, which is a 45 to 60 minute boat ride from the lodge. Guests don't usually come to Wollaston to fish for walleye. 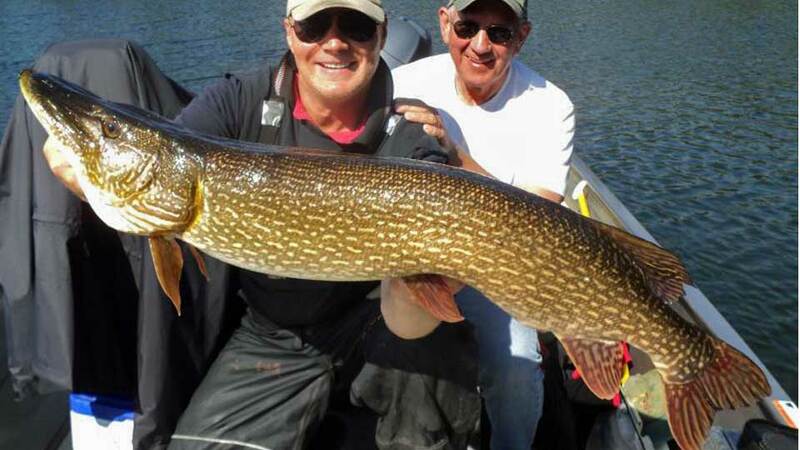 Travel time: Great pike fishing is within 15 to 60 minutes of the Lodge. The average boat ride is around 20 to 30 minutes before you start fishing. A lot depends on the direction and strength of the wind as to how far the guides travel and where they go. 2018 Season: June 10 thru July 23 for peak fishing. Boats: Fish from custom-made 18’ to 20’ Alumarine and Crestliner boats with Yamaha 50 h.p. 4-stroke Yamaha outboards, padded swivel seats, floorboards, large casting decks and fish locators. 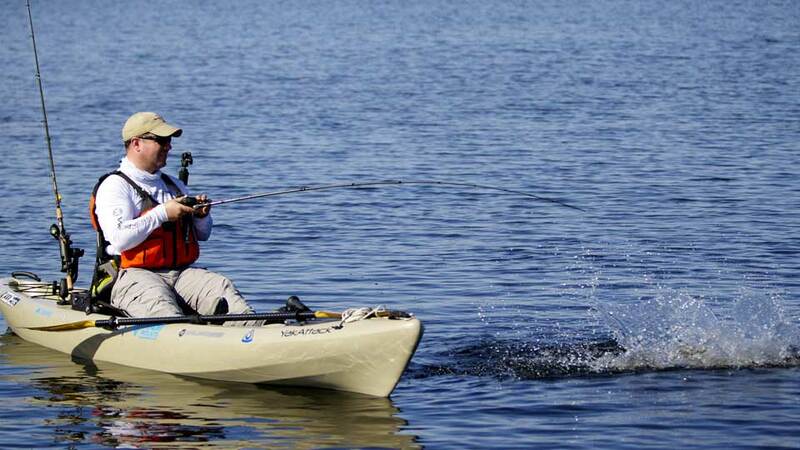 Two anglers per boat and guide. Boat coolers are stocked with your choice of beverages and are billed to your tab. Guides: They have excellent, professional guides. Each day, the guides prepare a delicious shore lunch for you. The Lodge’s head guide has guided on Wollaston Lake for over 25 years. Equipment: Fishing gear and tackle is not included. A detailed list of what to bring is provided in our confirmation packet. 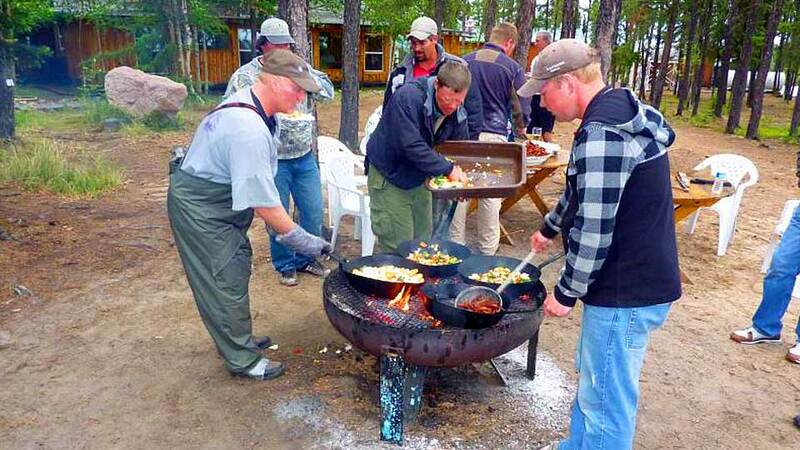 The Lodge has several open-faced spinning and baitcasting outfits available for rent. Fishing Licenses: are not included. A non-resident license runs about $100.00 CND. 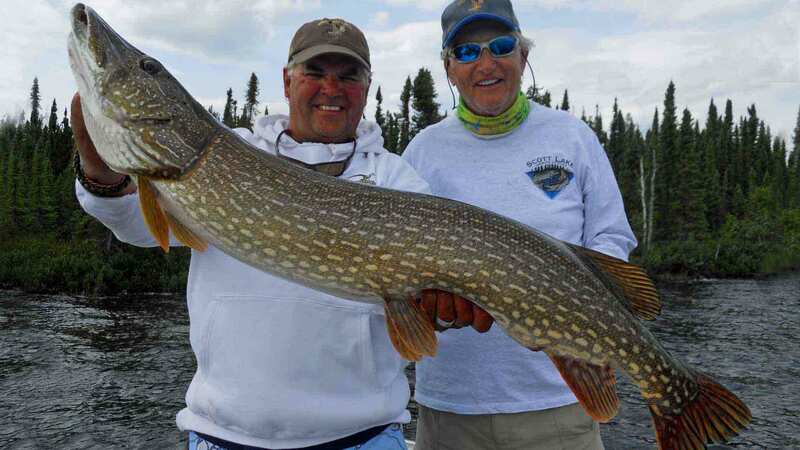 Minor Bay Lodge has acquired a reputation as one of Canada’s top fishing lodges, beloved for its trophy pike fishing and first-class lodging. The Lodge is truly a wilderness adventure, complete with remarkable fishing, wildlife viewing, breathtaking vistas, and exceptional guides and staff. 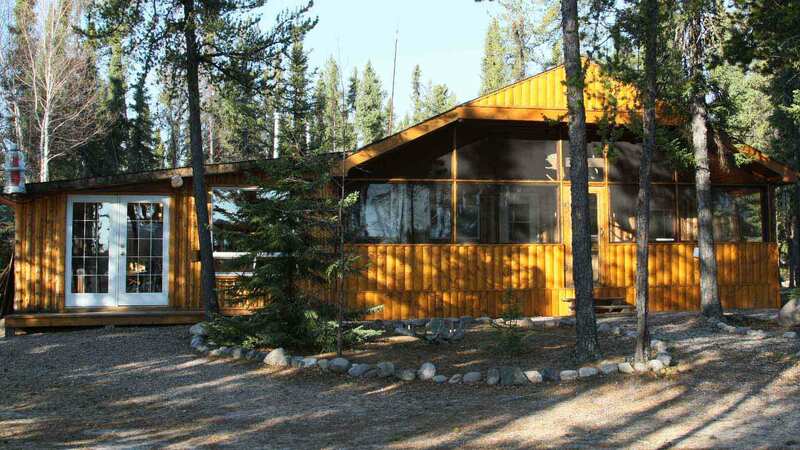 The Lodge consists of the main log lodge and seven, modern guest cabins. 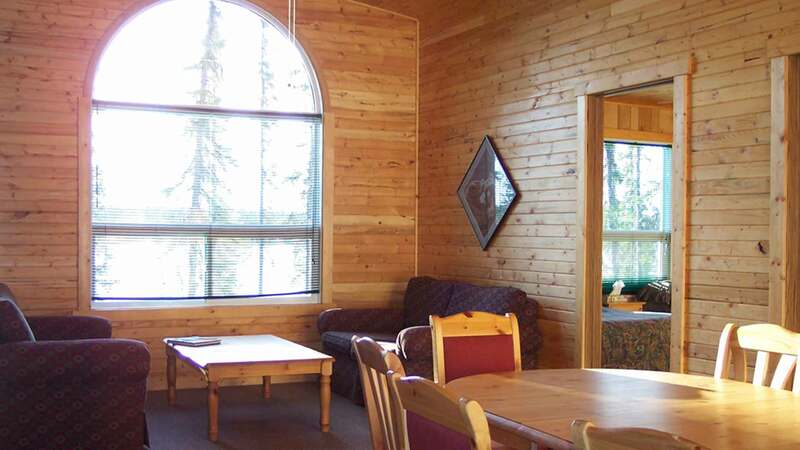 All cabins feature a living room, two or more bedrooms, and full bathrooms with large shower stalls, electric baseboard heat, bar fridge, and hotel-grade double beds. A computer with Wi-Fi is available for guests to use. The living room area in a 4-bedroom cabin. Appetizers are served each evening before a three-course dinner. Their chefs prepare entrees such as baby back ribs, prime rib and more. Guests often enjoy a quiet drink in the Lodge's screened verandah while watching the sun slowly set over Wollaston Lake. 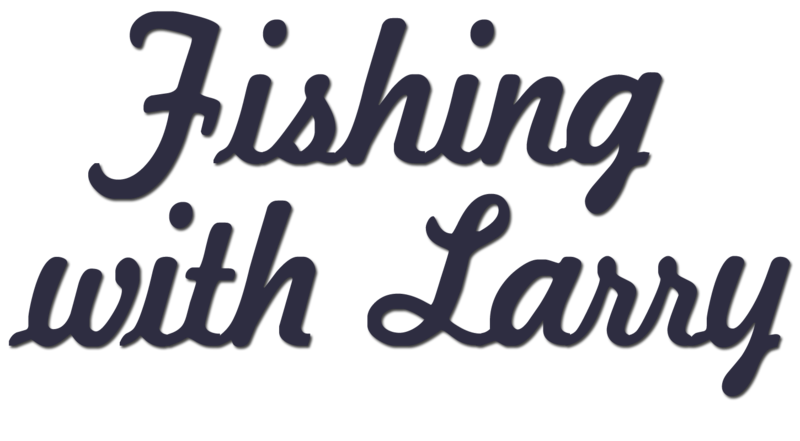 If you want to fish in the evening, you are not charged for the use of boats, motors or gas. Due to the nature of the lake, it is a lodge policy that a guide must accompany the guests on any evening fishing excursion. Guides do this on a voluntary basis, as evening fishing is after their regular working hours. A tip of $40.00 to $50.00 per boat is customary. *3-day trips are made by special arrangement only, with a 12-person minimum. Airport reception and shuttle between airport and hotel in Saskatoon, roundtrip air transportation between Saskatoon and Points North Landing, bus trip from Points North Landing to the Lodge, lodging, meals, and guided fishing. International airfare to Saskatoon, first night hotel and meals in Saskatoon, alcohol, Provincial and Federal sales taxes (5% GST on the entire trip and 6% Saskatchewan provincial tax on some trip components), Saskatchewan conservation fishing licenses, float plane excursions, fishing tackle, the use of rods or reels, gratuities, and anything not mentioned under inclusions. Request Minor Bay Lodge info packet. The guides fix a delicious daily shore lunch. Kayaks are available to use (unguided).